Korean designer Sangnam Park has come up with a concept that is equal parts intriguing and irreverent. 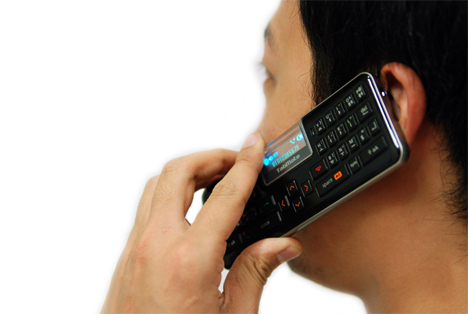 The Tabmate is meant to act as plenty of gadgets all rolled up into one pocket-sized device. 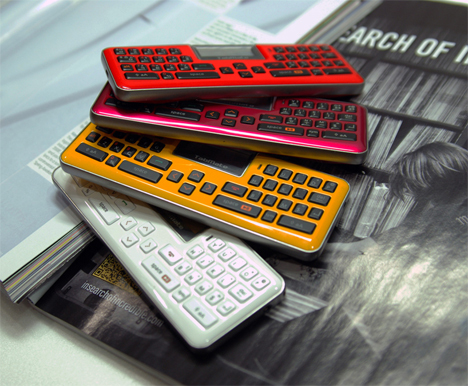 Park calls it a “bluetooth hands-free keyboard for table.” The concept has a high level of flexibility and capabilities. The Tabmate looks a little like a cell phone turned on its side. In the middle of the top edge is an OLED (organic light emitting diode) display that is undoubtedly cooler than the screens on most of the phones we carry now. The device can also do everything else you’d expect a concept like this one to do: it makes and receives phone calls, sends and receives texts, and play music. But it does so from a horizontal rather than vertical orientation, making it easy to type on. 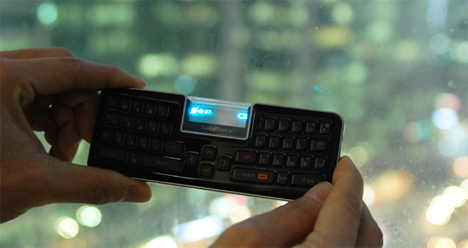 In this way, it can also be used as a wireless Bluetooth keyboard for other devices. The Tabmate isn’t reinventing the wheel here, but the concept is a fun exploration of just how much multi-tasking our devices do these days. See more in Phones & Mobile or under Gadgets. December, 2013.